My name is Trevor Pacelli. I was diagnosed with Autism at age 5. I am the first in my extended family to have autism. Growing up autistic has been difficult not only for me but for my parents and my sister. We’ve all had to learn about autism and how to maintain a peaceful household. 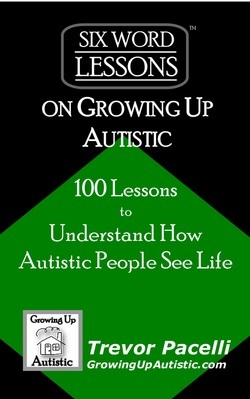 I deeply want other families with autistic children to learn from my experiences. This is why I wrote Six Word Lessons on Growing Up Autistic. Each six-word lesson gives you a concise explanation of what to do (and not do) to help the autistic person in your life better cope. Years of wisdom in a book you can read in an hour! Amazing Grace illustrated by Trevor Pacelli and written by Trevor's sister, Briana Pacelli.